It's hard to find a story more totally drivel than the idea that the U.S. is about to invade Iran. The whole CIA Fakes network has been having a hissy fit about this for months. Back in January, 2005 Seymour Hersh kicked off the initial 'Oh my God' in his article 'The Coming Wars'. 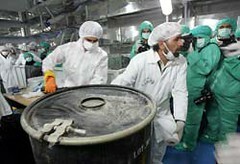 Then Scott Ritter fanned the flames in April with his prediction on disinfo site AlJazeera.com that by June, 2005 the U.S. was set to invade Iran. Recently, on Counterpunch.org, Gary Leupp told us that "Reports about the recent flurry of Iran-Iraq diplomacy must shock the neocons." There are real good reasons why this is all drivel --besides the fact that the sources include Hersh and Ritter. First, all this hype started just as the U.S. was getting mangled by the Iraq resistance. Which hardly put them in a position to open a new front twice the size. Actually, the short-term purpose of the Iran PsyOp was to camoflage the U.S. military weakness under a smokescreen of bluster about a new invasion. But the big reason Iran is not going to be attacked is that it is no threat at all. Donald Rumsfeld just warned that weapons from Iran have been found in Iraq and it had been "unhelpful" of Tehran not to have prevented them from crossing the border. And George Bush continues to position the U.S. as the world's sherrif by "warily" welcoming signs Iran was ready to restart talks on its atomic power program, saying he was "deeply suspicious" of Tehran's intentions. What a load of laughable bovine excrement! Why do you think that there is no trouble in the Tehran-dominated Shia south of Iraq? Why do you think the U.S. invaded Iraq in the first place? Because they knew there would be no problem in the south. That's why the British got the easy job of occupying the region --while the GI's were sent north to demolish the Sunni, who were the real target of the invasion. Yes, there were a few hotheads in the south, but nothing the combined wits of Sistani and Al-Sadr couldn't carefully defuse with the help of some well-timed, persuasive, military muscle from their friends in high places. Our high places. The Iraqi Shia leadership have been in the bag from the get-go. Because the Iranians are U.S./British/French tools in the region for a long, long time. The British and the French have been in on the whole Iranian revolution from the start. 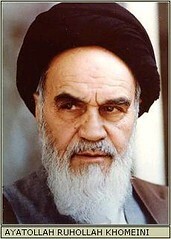 In the 1970's, Ayatollah Khomeini wasn't staying in Paris to see the nice pictures in the Louvre. Our boys run Iran like they used to run the old Iraq -by means of intelligence-controlled stooges. That's why it was so easy to arrange the Iran-Iraq war. A lot of people in Iraq and Iran are wise to all this. Just don't expect the CIA Fakes to tell you about it.